How to reupholster kitchen chairs. Seriously this is so easy and it’s cost almost nil to what it would be to send it out and have it done. Step 1. Find the fabric you want to cover your chairs in. 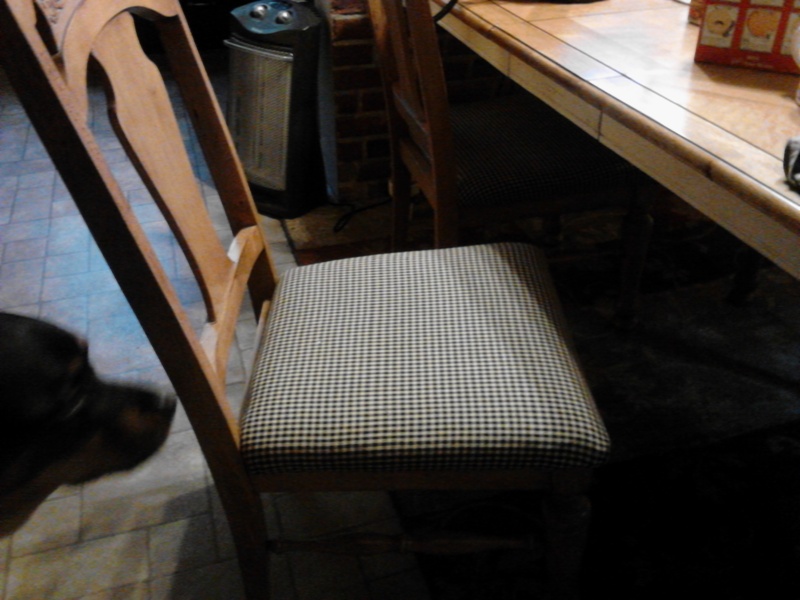 If it is a highly used chair(kitchen area)then I suggest something a little durable and with a pattern. 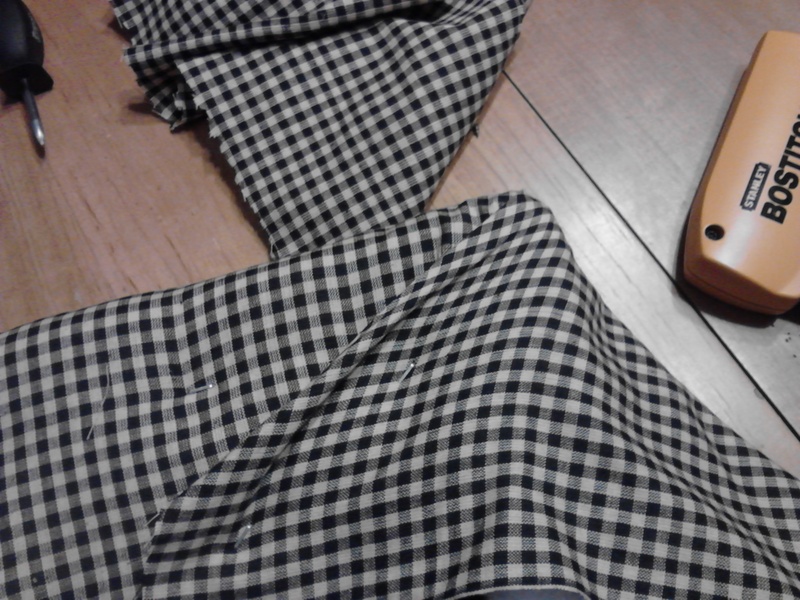 I love the gingham pattern. It’s always been my favorite. Make sure your measurements are correct. Even a little minor screw up can be costly. All though I bought my fabric at Walmart and they have great prices on their selection, you still don’t want to waste time and money going back for more if it was cut wrong the first time. Step 2. Invest in a decent staple gun. I finally did and it was well worth it. I spent under $24.00 for staples and a staple gun which I’ve gotten my monies worth out of already. 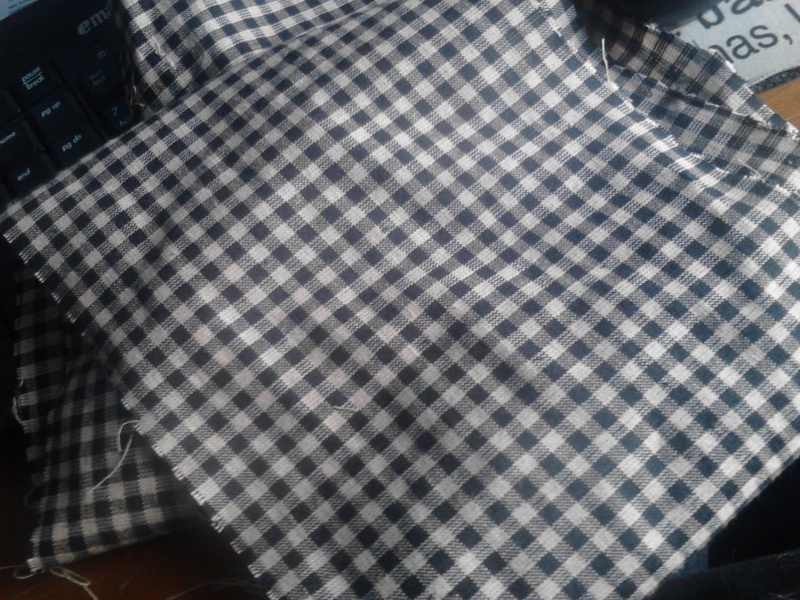 Lay fabric flat with chair pad on top. 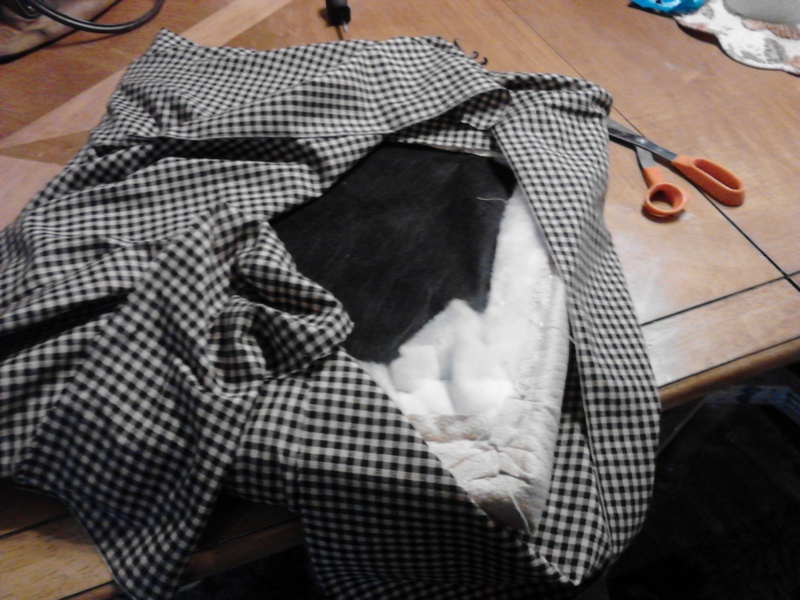 Fold over and leave excess which you can trim up after. Pull taut and start on one side stapling. Step 3. As you staple pulling taut, flip over to make sure there are no wrinkles. Take your time doing this. It isn’t a race. Even if you get one or two chairs done a day it’s still worth your time and effort. I like to pull the corners tight and over lap from each side. That usually takes care of any wrinkles. Step 4. Staple every 1/2 inch around, pulling taunt throughout. When finished trim the extra fabric off. Make sure you keep some just incase you want to add accents to your kitchen at least you’ll always have a swatch available. Step 5. End results. Dog not included but she seemed to like the new look herself! Thanks Nelli! I appreciate the comment. Once we get into our new house and settled I’m sure I’ll have some extra time to post. Thanks again!